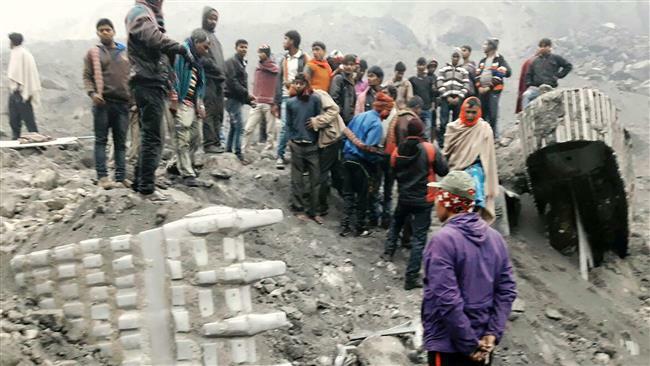 At least 22 people were killed when a wall collapsed during a wedding party in northern India. The guests had taken shelter from heavy rain under a tin shack when a wall collapsed onto it in the storm. Another 26 people were injured in the accident in Bharatpur, a district in Rajasthan state, 15 of them seriously. Local media reports say food stalls had been set up along the wall for the wedding. “The wall and a tin shed attached to it at the marriage venue collapsed due to a storm,” police officer Anil Tank is quoted as saying. He said the wall was nearly 90ft (27m) long and 12-13ft in height and the collapse trapped many guests.